Sinn Féin Justice Spokesperson Aengus Ó Snodaigh TD has said that, in government, Sinn Féin would appoint a Minister of State to focus specifically on the drugs issue. He also called for systematic social investment and drug treatment services to tackle the drugs crisis which he said was a major contributory factor to anti-social crime which is now afflicting communities across the country. 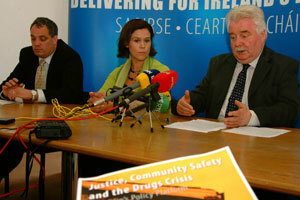 Ó Snodaigh was speaking at a press conference in Dublin which highlighted Sinn Féin proposals on justice, community safety and the drugs crisis. The Dublin South Central TD said that the unprecedented availability of heroin and cocaine is a major contributory factor to anti-social crime afflicting many communities across the country. “The drugs culture is literally destroying families and entire communities. This is no longer a problem confined to Dublin or the major urban centres. Illegal hard drugs are now available in most villages and small towns with the attendant problems of crime and anti-social behaviour. 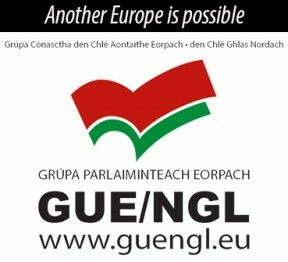 This is now a major national issue, which requires a very focused approach at government level”, Ó Snodaigh said. Speaking at the same press conference Sinn Féin general election candidate for Dublin North East, Councillor Larry O’Toole said that a comprehensive strategy is needed to effectively combat the problem of anti-social behaviour which he said was a scourge afflicting communities across the country. “Communities, particularly in our major cities but also in many towns are now scourged by anti-social behaviour. Intimidation, abuse, car theft, vandalism, public drug-dealing, drunken rowdiness and graffiti are widespread daily experiences which are destroying the quality of life for many” O’Toole said. “People in the areas worst affected see no intention on the part of the authorities to adequately deal with the situation. The problem is now at such a serious level that many, decent, law-abiding people have lost faith in the policing and justice system”, he said. In government Sinn Féin would ensure visible and locally accountable community policing and systematic social investment in marginalised areas worst hit by problems of anti-social behaviour, drugs and crime. ‘We propose, early intervention and support services for those at risk of offending, effective rehabilitation programmes and post-prison release supervision, and community restorative justice alternatives for most non-violent offenders”, O’Toole said, adding that Sinn Féin activists and representatives, through their work in communities over many years had an unparalleled understanding of the issues involved. “Our councillors and TDs have raised these matters continuously and have given voice to communities which previously felt unheard. We are committed to making the issue a key priority in government and, working with the people, we want to deliver real solutions”, he said.